Clane Athletic Club is delighted to announce the arrival of its new purpose built athletics track, comprising of a 200 metre, six-lane floodlit track. 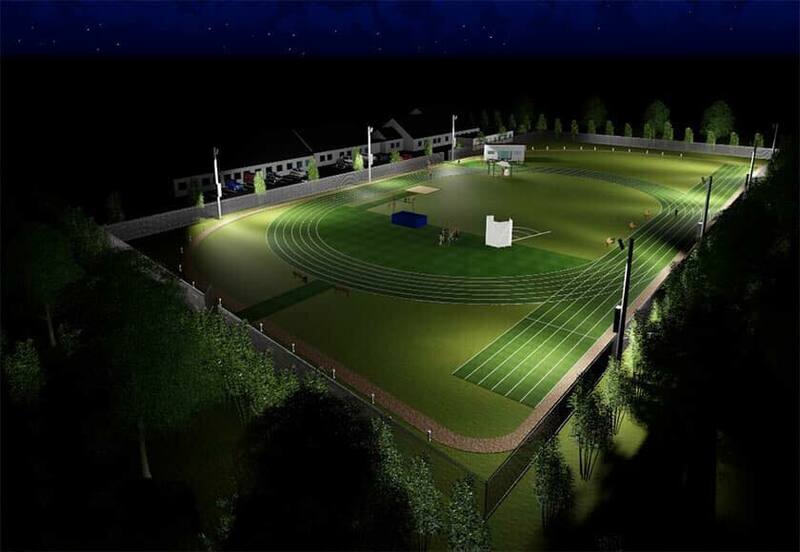 Clane community will sprint into a new athletics era with the opening of a new, bespoke athletic track on Friday May 24th 2019 at 7:30pm. The development is described as a major coup for our community, and a major boost for a new generation of athletes with a dedicated facility. Clane Athletic club will celebrate the new 200-metre track with a unique 4 mile road race. This is both a celebration of our new facility and importantly an opportunity to fundraise to offset the capital costs of the project. It will be the first part of the €250,000 investment in an athletics hub. The new facility will help undoubtedly attract more participants, foster local talent and signal a turning point in athletics and a new era. Please note that there is no entry fee for this race, however, the club are asking for donations where possible towards the completion of the track. Donations can be made at the end of the registration process.